As a student he had no idea what to do later in life. Today he is an award winning critic who interviews big stars. 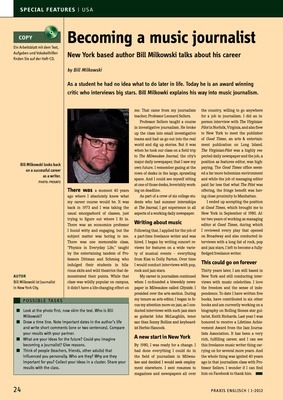 Bill Milkowki explains his way into music journalism. Wie hängen Musik und Identitätsfindung zusammen?